Some people are afraid to go to the dentist for a regular exam because they do not know what to expect from the procedure. Use this guide to learn more about the exam experience so you feel more comfortable the next time you visit the dental office. One of the most important aspects of a dental exam is learning about the current state of your teeth and gums. The dentist and the hygienist will examine your mouth and give you an evaluation of its current condition. 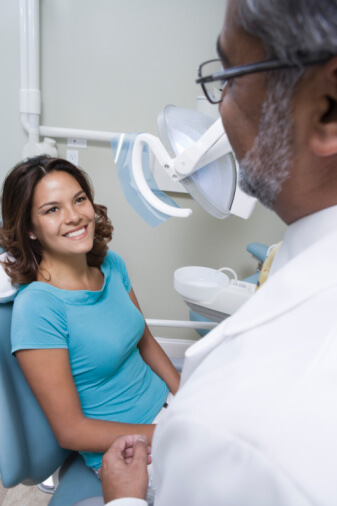 The dental team looks in your mouth, checks the bite, examines the jaw, and takes X-rays to determine the condition of your oral health. This includes telling you about your risk for tooth decay or periodontal disease. The dentist and hygienist work together to clean plaque and bacteria out of the mouth to reduce your risk of cavities. During this cleaning, the dentist can actually get rid of stains that are ruining the aesthetics of your smile. While they work on cleaning your teeth, the dental team will also talk to you about the best way to clean your teeth at home. If you do have any oral issues like cavities, the dentist will use this time to determine the best way to treat them. 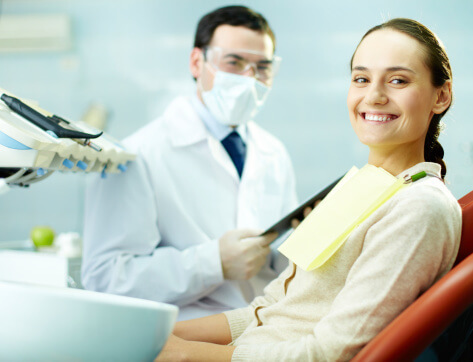 For simple procedures like fillings, he or she might just perform them during that same visit. If you need a more in-depth procedure such as gum disease treatment, the dentist might ask you to schedule a follow-up appointment. When you choose John Carson, DDS as your Tucson dentist, you get access to some of the best oral health services in the city. Utilizing state-of-the-art technology and years of experience, Dr. Carson can easily find the cause of oral health issues and determine the best treatment plan for them. 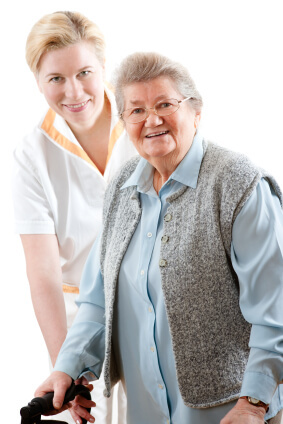 To learn more about our services or to schedule an appointment for an exam, visit us online or call (520) 355-4855. Your oral health affects your overall health in various ways. Poor oral hygiene allows bacteria to build up and form sticky walls of plaque on your teeth. These bacterial plaque deposits infect the gums causing them to become inflamed and bleed, known as gingivitis. If gingivitis is allowed to continue without treatment, the problem can escalate into periodontitis which erodes and pulls the gums away from the teeth. With the protective gum barrier compromised, bacteria descend further into the crevices created and begin to eat away at the underlying bone foundation. If periodontal disease is not treated, it can lead to severe deterioration of the jawbone and tooth loss, both of which can produce discomfort and pain. Furthermore, as the jawbone and teeth are compromised by periodontitis stemming from poor oral hygiene, it can lead to maladjustments to the natural bite of the teeth. 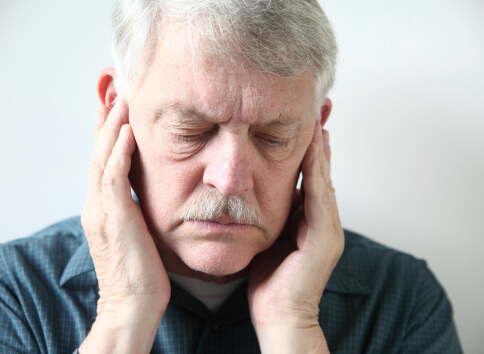 When the jaw and teeth fall out of line, it can cause facial muscle spasms, sinus pain, headaches or migraines, and even throbbing pain in the neck, shoulders and back. If not corrected, maladjustments to the jaw and bite of the teeth can also produce TMJ (Temporomandibular Joint Disorders) which can cause symptoms such as pain, grinding or clicking in the joints of the jaw, difficulty or discomfort with opening and closing the mouth, and buzzing and ringing in the ears all of which can lead to sleep loss, eating disorders, communication problems and more. The risk of TMJ is sharply elevated if the person also has osteoporosis which can expedite the bone deterioration process. In order to combat these problems, good oral health practices are highly recommended by dental professionals. You should brush your teeth at least twice daily using fluoridated toothpaste for around 2-3 minutes each brushing. Flossing at least once per day before your last brushing will help to remove food and plaque that have accumulated between the teeth throughout the day. You should also focus on eating a healthy, nutritional diet that includes good portions of vitamins A and C which the body uses to fight gum disease. Avoid smoking cigarettes or using smokeless tobacco which have been well-documented as links to gum disease and oral cancer. Finally, practice preventative oral health care by seeing your dentist for regular checkups. Such professionals are readily equipped to detect and treat problems before they become life-changing. Khosla, S. et al. “Bisphosphonate-Associated Osteonecrosis of the Jaw: Report of a TaskForce of the American Society for Bone and Mineral Research.” Journal of bone and Mineral Research, Volume 22, Number 10, 2007. With all of the general and preventative dental services at your Tucson dentist, you can get the treatment that you need to avoid cavities, tooth decay, and periodontal disease. Regular dental checkups also offer a host of other benefits, including the following. The foundation of your oral health rests on your cleaning routine. The way you brush and floss your teeth directly affects your risk for cavities and other oral health issues. Even if you practice a thorough oral hygiene routine, however, you might still miss some food and bacteria that falls between your teeth and gums. When you visit the dentist regularly, he or she can use tools designed specifically to deeply clean the teeth and the gums. 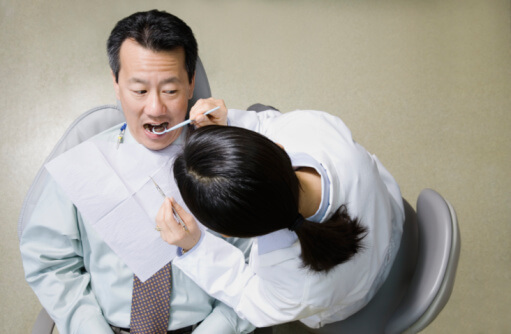 While the dentist is cleaning your teeth, he or she can also take the time to examine them. This allows the oral health professional to see if there are any issues while it is still early enough to treat them. With an in-depth examination like this, the dentist can spot the beginning signs of cavities, decay, and even gum disease. This early diagnosis allows you to get the proper treatment that prevents these issues from getting worse. The best way to care for your mouth is to understand how to care for it. The dentist can show you the right way to brush and floss your teeth to get rid of plaque and other bacteria before they lead to larger problems. These check-ups provide the ideal opportunity to quiz the dentist about your oral hygiene routine to see if there are ways you can improve it. John Carson, DDS is always here to offer general and preventative dental services that offer you the deep cleanings and exams that you need to optimize the health of your teeth and gums. Whether you need a regular checkup or gum disease treatment, Dr. Carson can help. For more information on our dental service options or to schedule your next checkup, visit us online or call (520) 355-4855. The number of Americans that experience depression and anxiety disorders is not only alarmingly large, but it is growing on a yearly basis. In the United States, 40 million adults suffer from anxiety disorders, the highest mental illness in the nation. Depression is commonly associated with anxiety disorders, affecting 1 out of every 10 Americans with more than 80 percent of those suffering from clinical depression going untreated. Although there are numerous detrimental symptoms and affects of clinical depression, one of them lies in the area of oral health. Earlier this year, a study out of West Virginia University, Morgantown entitled “Association of Tooth Loss and Depression and Anxiety” was presented. The outcome of the study revealed that depression and anxiety were directly linked to tooth loss in affected patients. It has been revealed through other studies that chronic and complex health issues are often linked to poor oral health such as gingivitis (inflamed gums), caries (tooth decay) and periodontitis (severe deterioration of the gums). However, in this study, Dr. R. Constance Wiener went a step further to show the direct link of depression and anxiety on tooth loss using data gleaned from the complex telephone survey system known as BRFSS (Behavioral Risk Factor Surveillance System). The results of data from over 80,000 adults spanning 16 states were used in the analyses. It was found that adults suffering from depression and anxiety disorders were more likely to avoid good oral hygiene practices such as regular brushing and flossing. The same group was also less apt to make regular, or any, visits to dental professionals leaving any oral health problems undetected and untreated. Avoidance of personal and professional dental care means that those suffering from depression or anxiety disorders are much more likely to develop serious dental problems that result in the loss of one or more teeth. The results of the study are quite eye-opening. There are 32 teeth in the adult human mouth. It was found that a significant increase in tooth loss was present in those suffering from depression and anxiety compared to those who do not. Ninety-five percent elevations were found across the board in three categories: those having 1-5 teeth removed, those having 6-31 teeth removed and those having all 32 teeth removed. This study reveals the importance of continuing good oral health practices, including regular dental visits, regardless of being in a state of depression or suffering from other types of anxiety disorders. International & American Associations for Dental Research. “Tooth loss linked to depression, anxiety.” ScienceDaily. ScienceDaily, 20 March 2014. <www.sciencedaily.com/releases/2014/03/140320111903.htm>. 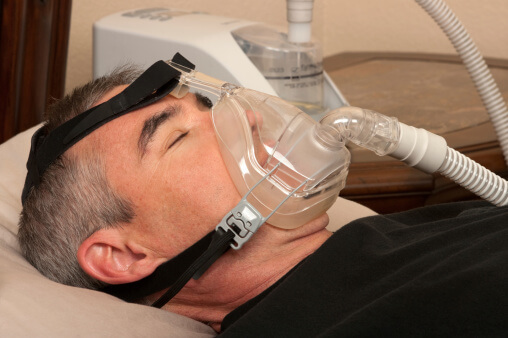 Sleep apnea is a serious disorder that affects roughly 18 million people in the United States. This sleep disorder causes a person to stop breathing for 10 seconds or longer during periods of sleep. Because the brain is starved for oxygen, it briefly awakens in an attempt to produce better breathing. As the brain turns off and on throughout the night, it produces sleep that is interrupted and of poor quality leaving the sufferer experiencing such symptoms as exhaustion, irritability, anxiousness, depression and forgetfulness. 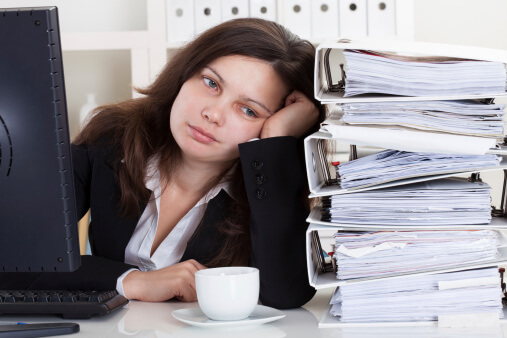 Sleep apnea can cause poor performance at school or work as well as lead to health dangers such as accidents, stroke, high blood pressure, heart failure and diabetes. It was recently discovered via a study conducted in August of 2013 that sleep apnea can also affect the oral health of those suffering from it. The Korean Genome and Epidemiology Study found that periodontitis, a bacterial infection of the gum tissue, was more rapidly incubated during bouts of sleep apnea. This rise in periodontitis produces gum inflammation and causes them to recede and detach from the teeth leaving an even higher risk for tooth decay and loss. It has been proposed by researchers that the reason for the heightened occurrences of periodontitis in those suffering from sleep apnea was due to their sleeping for long periods of time with their mouths open in an attempt to get more oxygen. Breathing through the mouth causes the inside to become dry, thus producing a more beneficial environment for bacteria to breed and thrive. Bacteria produced by poor oral hygiene have also been linked to increases in the same health risks attributed to sleep apnea, compounding the risks of those diseases. Dentists can assist with the various problems produced by sleep apnea in a couple of important ways. First of all, dental sleep medicine uses an oral appliance that is quite successful at treating sleep apnea. This small device is fitted to the individual’s mouth and is worn during sleep periods to open the airway and allow better breathing. Your dentist is also able to effectively treat any oral disease that might have been escalated during sleep apnea as well as educate you on the best methods for maintaining good oral health. By allowing a dental professional to treat your sleep apnea and oral issues, you not only sleep better and have more mental and physical energy throughout the day, but you can also display a winning smile. Want to know more about how your oral health can affect the rest of your body? You won’t believe all the health risks associated with poor oral health! Check it out! Seo WH, Cho ER, Thomas RJ, An SY, Ryu JJ, Kim H, Shin C. “The Association Between Periodontitis and Obstructive Sleep Apnea: a Preliminary Study”. J Periodontal Res. Aug. 2013;48(4):500-506. doi: 10.1111/jre.12032. Epub Nov 30, 2012. When food and bacteria fall in between the teeth and gums, they could lead to serious oral health issues such as tooth decay or periodontal disease. 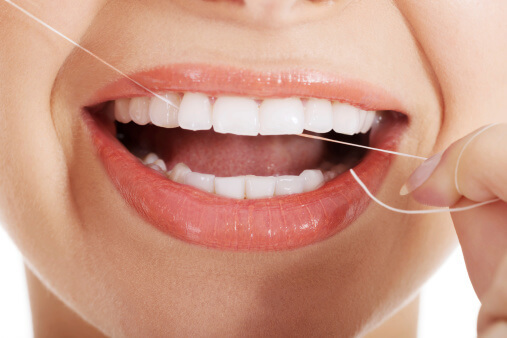 Flossing helps get rid of these trouble zones before they develop into bigger issues. If your children are fighting you when it comes to flossing on a regular basis, use the following tips to encourage them to properly care for their mouths. Kids pay attention to your actions much more than you might realize. If you practice a daily flossing routine, your children will notice. Take the time to floss your teeth twice a day to show your children how easy it is to add it into your daily routine. Once the kids start to practice the habit, you can turn flossing into a fun family activity. Children respond well to positive reinforcement. If you want to encourage them to floss on a daily basis, you should praise them when they start to do it. The more that kids hear positive reinforcement about their actions, the more they will try to repeat that behavior. You might even want to develop a chart on which they can write whenever they floss so they can clearly see how often they do it. There are plenty of oral hygiene tools designed specifically for kids. Buying floss sticks makes it much easier for children to maneuver the floss between their teeth and gums. These sticks help children learn the ropes of flossing so they can continue the habit for the rest of their lives. With the help of John Carson, DDS, you can teach your children about the importance of oral hygiene from a young age. As one of Tucson’s top dentists, Dr. Carson provides the perfect combination of treatment options and education to help you and your children maintain your oral health throughout the duration of your lives. To learn more about our general and preventative dentistry services, visit us online or call (520) 355-4855. Poor oral health practices and higher risk of stroke have been linked through research conducted at both the University at Buffalo (New York) and the University of Bristol, England. University of Buffalo researchers revealed in 2000 that there was a direct link between cerebrovascular and periodontal disease. The conclusion of the Buffalo study found that those suffering from severe cases of gum disease are twice as likely to develop conditions that lead to strokes than those who maintain good oral health. Strokes caused by the blockage of arteries are the most common occurrence and this is the type of stroke directly affected by periodontal disease. There are over 700 variances of bacteria that grow and thrive in the mouth. The bacteria, along with their bacterial by-products such as endotoxins, are released from infected cavities and gum pockets. Once released from their place of incubation, these bacteria and by-products enter the circulatory system and produce a response from the body to fight inflammation. This causes cells to multiply and produce the possibility of clotting in blood vessels. These bacteria can also attack and damage endothelial cells in the lining of blood vessels. University of Buffalo researchers also found that the bacteria from periodontal infections were present in plaque of the carotid arteries removed through surgical procedures. Further findings by researchers at the University of Bristol, England revealed that periodontal pathogens have the ability to cause blood platelets to collect and cause clotting through plaque formation. It was also discovered that periodontal bacteria had the ability to avoid immune system detection making them largely unaffected by antibiotics. 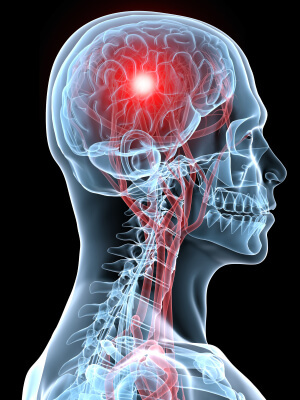 The conclusion of these studies helped to reveal that poor oral health was a significant factor for risks in cerebrovascular events, particularly in non-hemorrhagic strokes where it can manifest a two-fold increase. This is an alarming breakthrough revealing that periodontitis (severe gum infection) is not only a major contributor towards adult tooth loss, but is also a factor in strokes and other forms of disease. These findings point out the importance of maintaining good oral health through daily brushing and flossing as well as regular dental checkups. The practice of dental hygiene, in this case, can cut risks of stroke in half for those who practice it. Caring for your teeth involves more than going in for regular dental checkups. If you practice proper oral hygiene at home and pay attention to what you eat and drink, you can maintain a beautiful, healthy smile. Use these tips to get the healthy teeth you desire. While it is important to brush your teeth twice a day, brushing with an old toothbrush could do more harm than good. You should get a new toothbrush or change the head on your electric brush once every 2-3 months. Instead of using the same toothbrush that might be covered in bacteria, change it out for a clean one that helps you practice proper oral hygiene at home. While foods and drinks like candy and soda are bad for your teeth, there are plenty of nutritional choices that can improve their condition. Apples, raw carrots, celery, and popcorn all work as a sort of detergent for your mouth, which help you avoid stains and keep the mouth clean. If you know you cannot brush your teeth after you finish a meal, try to incorporate some of these foods to get a temporary cleaning until you can brush them. The better you can clean your mouth, the lower your risk for cavities and periodontal disease. On top of brushing and flossing on a daily basis, you should also use an alcohol-free mouthwash to ensure that your mouth is extra clean. Rinsing with mouthwash can also improve your breath. While you focus on your at-home oral hygiene, John Carson, DDS is here to focus on general and preventative dentistry. The combination of at-home care and exams from a qualified professional give you the edge you need to maintain healthy teeth and gums and avoid serious issues. We also offer cosmetic services to improve the aesthetic of your smile. To learn more about the dentist, visit us online or call (520) 355-4855. Most people associate oral health with a pretty smile, but a new study from the School of Medicine and Dentistry at the University of Central Lancashire (UCLan) suggests that poor oral hygiene could increase a person’s risk of contracting the debilitating mental disease known as Alzheimer’s. The research conducted by Dr. Sim Singhrao and Professor St. John Crean found that the bacterium Porphyromonas gingivalis was present in brain samples taken from dementia patients. P. gingivalis has been previous found in the colon, respiratory tract and gastrointestinal tract, but is most associated with various types of periodontal (gum) disease. The P. gingivalis bacterium is known to enter the bloodstream from infected gums and cavities through the actions of chewing and brushing teeth with the largest ingestion occurring after invasive treatments for dental problems. It has been proposed by the researchers that as P. gingivalis regularly enters the brain, it triggers a response from the immune system. The large doses of chemicals released to fight the bacterium appear to kill neurons which can cause significant changes in the functioning of the brain. If the P. gingivalis bacterium is left untreated to grow and detach from infected cavities and gums into the blood stream, it can cause symptoms of memory deterioration and confusion and eventually lead to Alzheimer’s disease. This finding by the researchers at UCLan builds on previous 2010 findings of research conducted at New York University which provided evidence that Alzheimer’s disease risk was heightened through links to those suffering from gum inflammation and gum disease. A further study conducted at the University of New Mexico suggested that Alzheimer’s could also be linked to Herpes simplex virus type 1 (HSV-1) which is the cause of cold sores around the mouth. Research into the link between P. gingivalis and Alzheimer’s disease continues at UCLan. It is hoped that a blood test can be eventually conducted to reveal markers which can be preliminary indicators of the development of Alzheimer’s in those at higher risk due to poor dental health. This finding adds weight to the importance of maintaining good dental hygiene practices as well as making regular dental appointments to ensure top oral health. Protecting your smile is a top priority in the pursuit of good dental health, but protecting yourself from memory loss, dementia and the debilitating disease of Alzheimer’s significantly raises the priority bar. The University of Central Lancashire. “Poor dental health may lead to Alzheimer’s, study suggests.” Medical News Today. MediLexicon, Intl., 31 Jul. 2013. Web. Cosmetic dentistry offers you plenty of treatment options that can improve the aesthetics of your smile. Dental veneers have the potential to rectify a variety of oral issues that might otherwise make you feel self-conscious about your teeth. Since they are made from slim pieces of porcelain, veneers offer today’s patients the natural-looking results they desire. 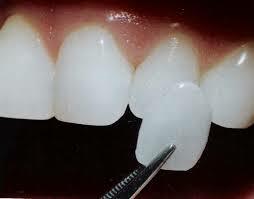 Here are some factors that may indicate that you are a good candidate for veneers. Sometimes teeth have a strange shape or contour that can throw off the entire aesthetic of the mouth. If you have one or more teeth that are poorly shaped or contoured, you should talk to your cosmetic dentist about porcelain veneers and how they can improve the way you look when you smile. Gaps, fractures, and strange positioning are common problems that negatively affect the way the bite functions as a hole. If you have any of these position issues, you should talk to your dentist about how porcelain veneers can help to reposition them. Not only will this enhance the aesthetics of your teeth, but it can also improve the way you talk, the way you chew, and the way you can clean your teeth and gums. Eating and drinking can actually stain your teeth, especially if you eat a lot of food with high acid contents. If your teeth are stained even after teeth whitening treatments from the dentist, porcelain veneers can give you the bright, white smile that you desire. Talk to your cosmetic dentist about porcelain veneers and how they can help you get rid of those discolored teeth. John Carson, DDS offers wide range of cosmetic services that can target your trouble areas and enhance the look of your smile. From veneers to dental implants, our office makes it easy to get the treatments you need to feel better about the look and feel of your smile. For more information about our Tucson cosmetic services, visit us online or call (520) 355-4855.